I know I've been talking about hair a lot recently, with my new hairdo and all, and I'm afraid I'm going to have to talk about it more! 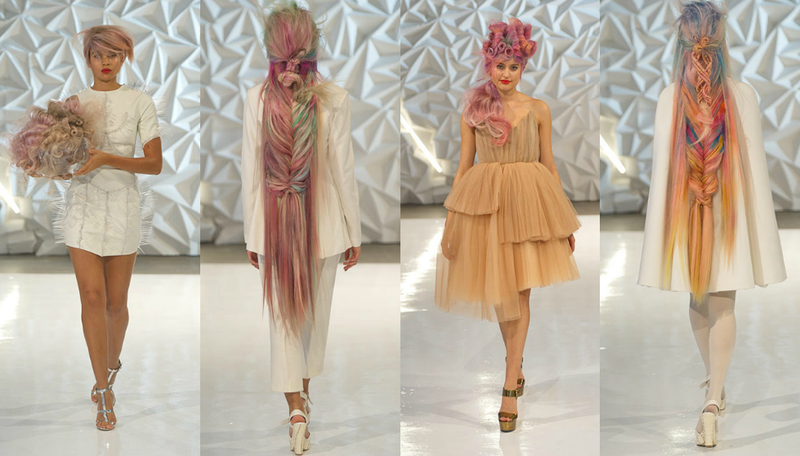 When I stumbled on these photographs from the Wella Trend Vision summer spring 2014 hair show I fell in love and had to share them with you. 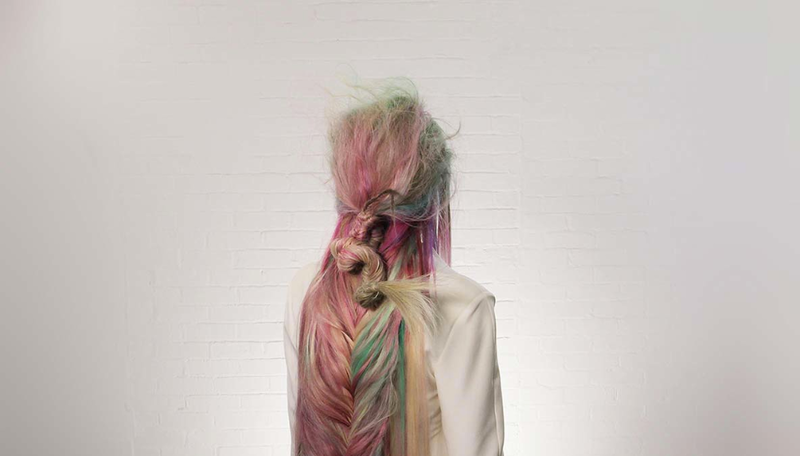 The Urban Native collection is an incredible mixture of pastel meets punk meets mermaid meets Marie Antoinette. Though most of the styles are massively avant-garde and obviously not practical for any of us, the colours are stunning and of course a fishtail plait is easily attainable on a smaller scale! "A casually crafted layered bob with an accent on a disconnected fringe. Deep intense blue inspired by the sea fades into the lightest platinum blonde." 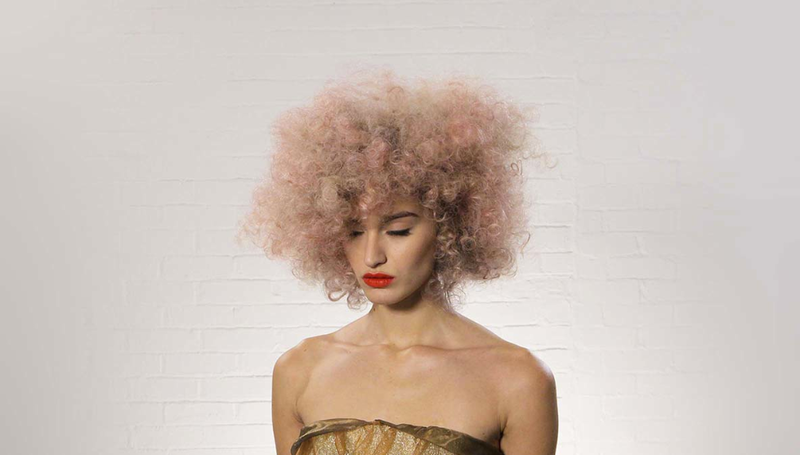 "A couture interpretation of the iconic afro, styled in a square shape the cut creates soft edges which are emphasised by blurred pinks, faded purple and cool blondes of various densities. " 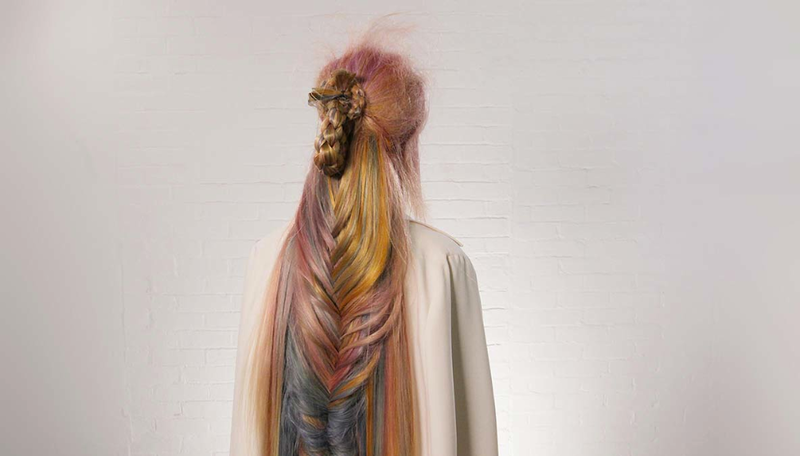 "An artificial fusion of length, texture and colour. Inspired by the sea, the flowing, loosely crafted fishtail braid and marine colours speak of mythical mermaids and undersea worlds." "The classic 60s beehive is combined with a fusion fishtail braid. 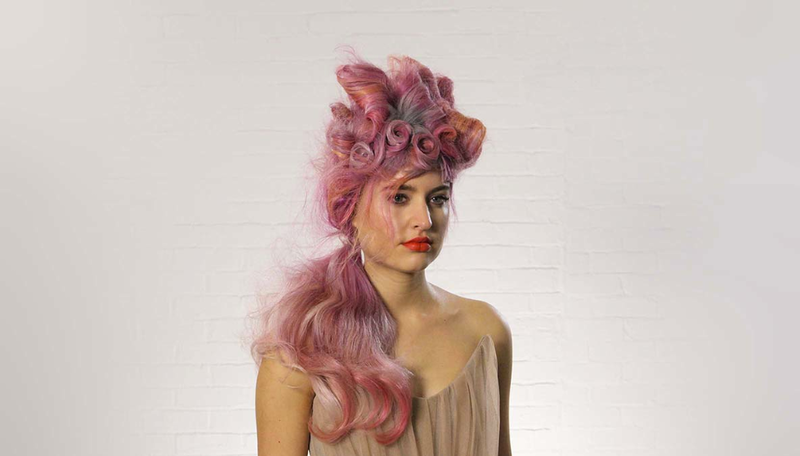 The timeless updo, luxurious length and elegant hues of faded pinks, orange and blues create a hedonistic culture look." "The boho Urban Native look. A purple base colour is blended with washed-out pinks, hints of orange, greens and lavender blondes. " 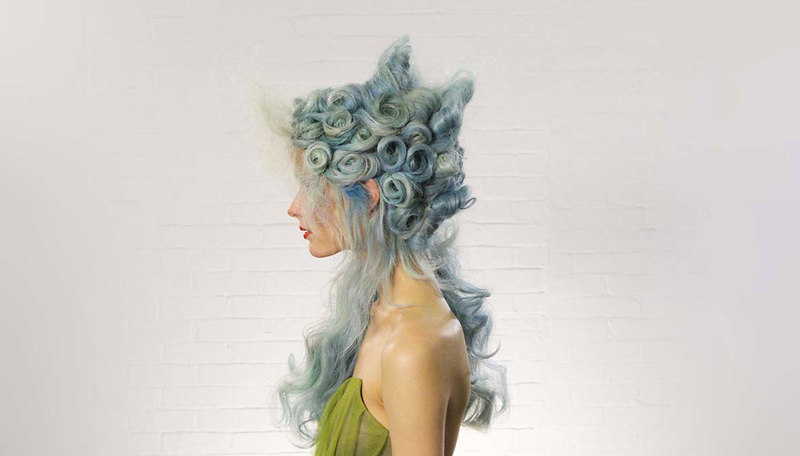 "An aquatic mermaid inspired by the colours and textures of the sea: rolls, waves and loose curls are joined by turquoise, teal and indigo blue." 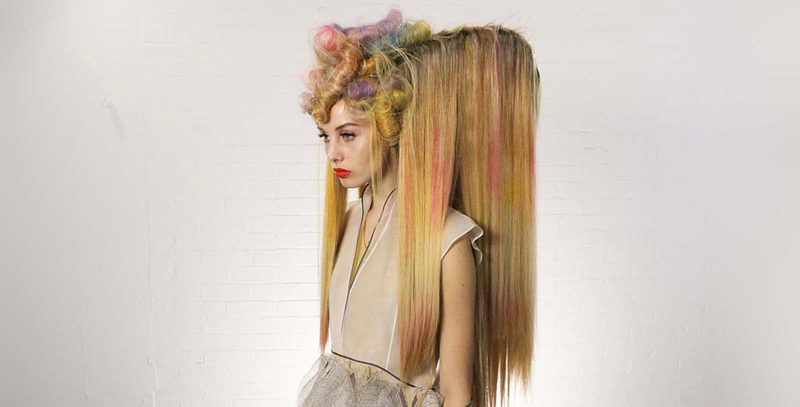 "A dramatic look inspired by Marie Antoinette and decadent Medieval headdresses, with an array of washed out brights. " I've never really been interested that interested in hair, but this is art! I could not love it more! 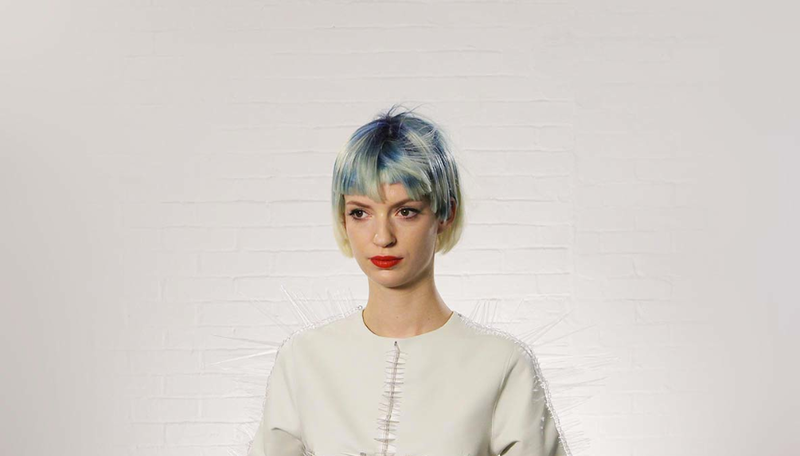 You can see all the looks in 360 as well as an interview with Hester Wernert-Rijn, images of her inspiration and glimpses of backstage on the Wella Trend Vision site. What do you think? Are you going to be rocking anything similar this spring? This is amazing! Love them! Sadly I will not be rocking anything similar myself due to lack of finances and being a brunette I'd have to bleach my hair before it could reach those tones - although I am tempted to play with the tips! Ooh amazing. I can't wait to get my hair cut but Jon isn't free until mid Feb, boo. Till then I'll have my hair permanently up. These hairstyles are good ways of disguising any bad hair days. It's driving me maddddd. It's near enough strangling me in my sleep. So glad I found your blog tonight, it's fantastic!! I looooove these creative hairstyles. I'm a makeup artist and hair stylist and always want to do fun things like this!! Aw thanks, yeah these are so inspiring aren't they? silver sequins in the sale & a new fringe! My feather headdresses featured in a video!